Inspired by a visit to Brean Down (see album cover) and the musique concrète techniques employed by the BBC Radiophonic Workshop’s John Baker during the 60s and early 70s, these pieces have been constructed entirely from sounds created using household objects. Bottles, corks, tins, rulers, bike chains/horns, plastic tubing, wine glasses, pan lids, wire draining racks, electrical appliances… and a single guitar string, are the only instruments to be heard. The one exception – Human Soup – comprises nothing but sounds made by the body: clapping, gargling, breathing and cheek-popping. Three electronic demos written in a similar vein round off the album. 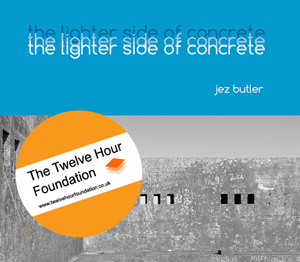 Initially released as a solo project, the album is now credited to The Twelve Hour Foundation (Jez Butler and Polly Hulse).